The following is a piece I wrote for a trivia challenge that will soon be aired on a podcast. Dana and I wrote the trivia questions based on our favorite subject material. Experts. What constitutes an expert? In my expert opinion, one becomes an expert in the same manner one becomes anything. One must become an expert in one’s mind, first. Well, that expert opinion is a load of squash, because an expert is obviously an expert in his or her mind. Where else would he or she be an expert? In a toe? My wife and I are Harry Potter experts. The reason for this is because no one else in the world likes the Harry Potter story more than we do. It’s true, J.K., not even you. We have all the books in hardcover and ebook format, and all of the movies. And we use them all on a regular basis. We even got the Deathly Hallows tattoo. It’s not uncommon for one of us to wake the other from a dead sleep to discuss what happens when a witch or wizard is exposed to a horcrux for extended periods of time, or whether or not Uncle Vernon was a boggart in disguise. I’m proud to say that the thing I’m most excited for when I get to heaven, when I finally reach those pearly gates, is that glorious day when St. Peter gives me my fully functioning magic wand. Accio Harp. Accio Halo. Wingardium that robe. Hey! Did Jesus just expelliarmus my harp?! Psh. Until that day, I will satisfy my magical yearnings by discussing important social events in light of Dumbledore’s wisdom, dream of cutting my commute to work via apparition and writing ridiculous trivia questions for podcast hosts who think they are bigger fans than Dana and me. How about a little BuzzFeed for your Tuesday? Think of it as a beginning of the week distraction/present. 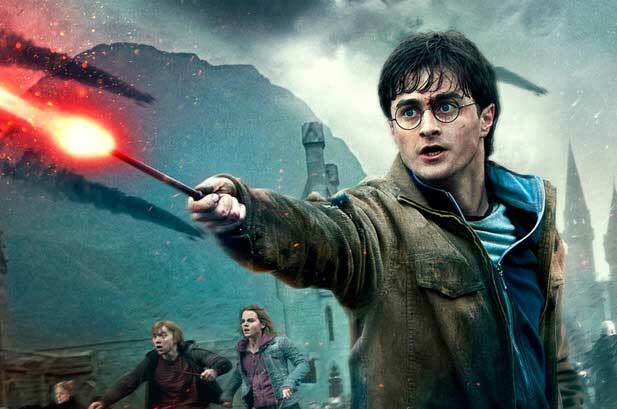 This BuzzFeed talks about all the baddest badasses of Harry Potter. I’m a big fan of badasses and Harry Potter, who isn’t much of a badass in my opinion. Bellatrix, on the other hand, is. Yes, we’ll play with BuzzFeed today, but let’s make this productive, too. Let’s talk about villains in literature and see what makes one particular villain so awful. We start with Snape at 17 and work our way to the Number 1 evilest character in the whole series: Voldemort. Look at our society. We can name all of the Doloreses out there. How many people discriminate others because they are different? Or because the he/she will gain something? Or (and probably more accurate) just because he/she can? And this is why the world loves to hate Dolores Umbridge. Because she represents “The Man” that we all struggle against. Or feed into, depending on which half of the 1%/99% you land. Dolores Umbridge is an interesting character because she almost outshines the main villain. She does it in such a subtle way that posts like the BuzzFeed above turn out to be funny, relatable and surprisingly accurate. 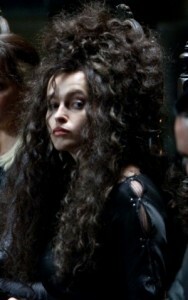 She sneaks up on you at the end of the series when you realize that you hate her more than Voldemort. Umbridge sets herself up to be the “good guy” by saying she is looking out for the greater good. She does this by upholding the letter of the law rather than the meaning. She is outspoken on the rights of “pure” witches and wizards, but claims that she’s not a Death Eater. That argument falls apart when Voldemort comes to power and she is one of his righthand gals. Even while she’s working at Hogwarts, she is against magical creatures who are not of a pure race (Hagrid is part giant, Firenze is part human part horse [centaur]). She seems to be OK with house elves because they are pure and because they enable her living habits. She loves the law of the Ministry of Magic. She almost had Harry expelled from Hogwarts because of minor issues and punished him on several occasions because he was never good at keeping his mouth shut. That set her up to be an asset to the Dark Lord’s rule. But what about the meaning of the law? The law was set up to keep witches and wizards safe from each other and Muggles and makes exceptions for extreme cases. But Dolores doesn’t want exceptions, period. In Christian terms, she doesn’t like Grace. Grace makes allowances for wizards who mess up. It allows for forgiveness. It allows for “guilty” parties to get off scotch free. And Dolores doesn’t like that. Where’s the justice? Maybe that’s why Voldemort was such an attractive leader to Umbridge. Someone who followed through with the rules he set up. Granted, the rules he set up were ridiculous and unrealistic, but at least she knew who was going to be punished and who was going to be rewarded. She was set up in a Spanish Inquisition-esque office where she tried and condemned witches and wizards who came from less-than-pure backgrounds. If a witch had one magical parent and one Muggle parent, she was punished for stealing a magical wand from a pure witch or wizard. No defense was heard for the witch. Just punishment. And all she can do after a day of this is offer her pink, self-satisfied giggle. It is very satisfying for the reader when Ms. Umbridge is taken away by the centaurs and when she is sentenced to Azkaban for her crimes against the magical community. But does that satisfaction make us any better than her? Was she so far from grace that a little rehab couldn’t have shown her the errors of her ways?